WASHINGTON | A federal judge shouldn’t bar longtime Donald Trump confidant Roger Stone from making public statements about his criminal case in the Russia investigation, his attorneys argued in court papers filed Friday. 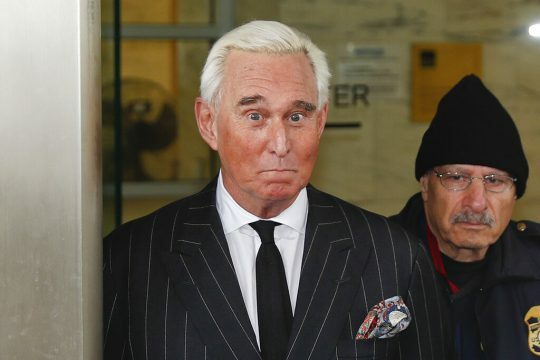 U.S. District Judge Amy Berman Jackson is considering issuing a gag order that would prevent both sides in the case from making public statements that could have a prejudicial effect on potential jurors while allowing Stone to publicly opine on other matters. But Stone’s attorneys say that any limits on Stone’s public comments would infringe on his First Amendment right to free speech. Stone was arrested in an FBI raid at his Fort Lauderdale, Florida, home last month. He is charged with lying to Congress, obstruction and witness tampering related to discussions he had during the 2016 election about WikiLeaks, the anti-secrecy group that released material stolen from Democratic groups including Hillary Clinton’s campaign. U.S. intelligence agencies have said that Russia was the source of the hacked material, and last year Mueller charged 12 Russian intelligence officers in the hacking.